Uh oh, you're running late and you've got another flat tire! You need Air Dragon, the easiest way to fill your tires. 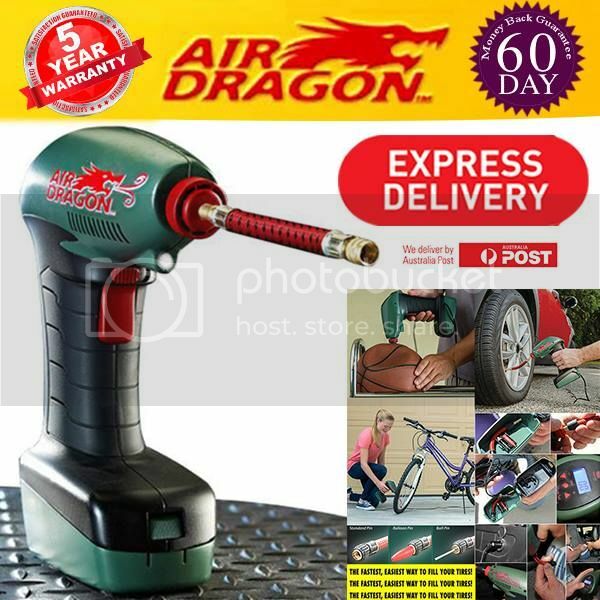 Just plug Air Dragon into your car's 12-volt outlet, check your tire's PSI, fill your tires, set the Psi you need and connect to any tyre, thanks to the extra-long 14ft cable that reaches even the biggest wheels and you're safely on your way. Air Dragon takes the guesswork out of overfilling or underfilling your tires! The easy to read pressure gauge always shows you when you've reached the perfect pressure. Keep Air Dragon in your car for on the go use whenever your tires are running low. It's small enough to keep in your glove compartment for so you're always prepared for unexpected emergencies. 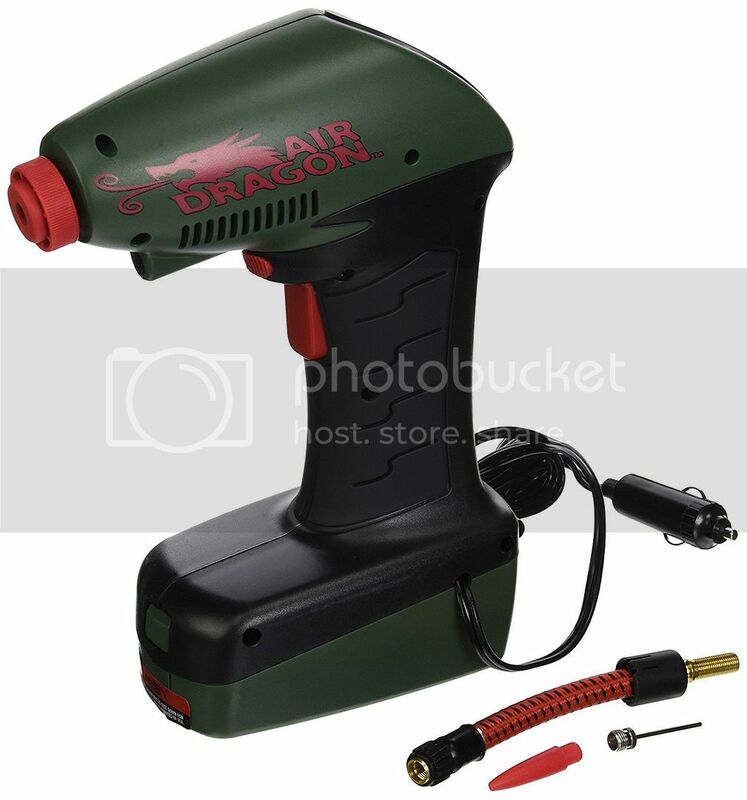 The Air Dragon has the power to fill up all kinds of tires and can also be used to inflate balls, pool floats, bicycles, air mattresses and more! Say goodbye to waiting for roadside assistance and do it yourself instead with Air Dragon! Inflating at night? There’s even a LIGHT! So forget fumbling with dirty valve caps and threaded hose connectors in the dark. But that’s not all! Air Dragon comes with additional adaptors for all your inflatables! Those long trips often involve all manner of inflatable fun at the beach or in the park. Everything from paddling pools, footballs, beach balls, paddle boards, swimming aids and of course, bicycle tyres for family bike rides in the country. Not to mention inflatable mattresses and even dinghies! Having a party? Blow up all the balloons you’ll ever need, quickly and easily, without blowing a gasket! There’s even a balloon adaptor too! Once you’ve got the handy powerful Air Dragon in your car or caravan you’ll never feel ‘let-down’ or worry about inflation again! It’s your personal, powerful, pump for all your pressure problems! Inflates tyres in minutes- it’s your handy roadside saviour!